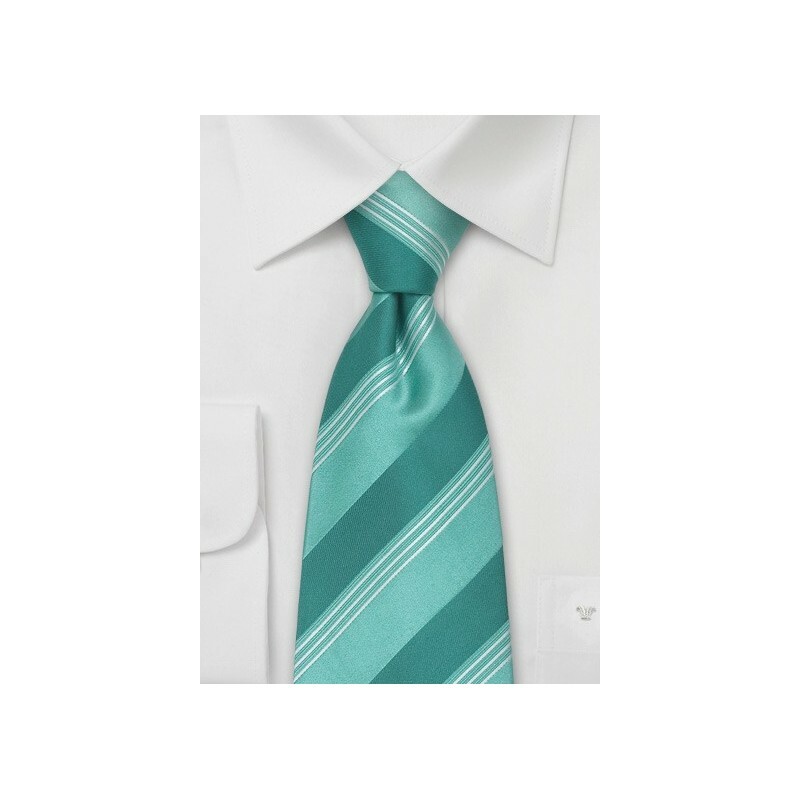 This tie has it all: A stunning, modern Italian necktie design that incorporates fine and wide strips, a very unique emerald/turquoise green color, and one of the finest silk fabrics available. 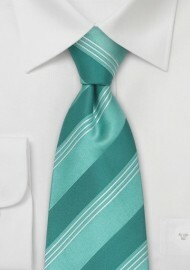 Cavallieri understands the art of making neckties. They have perfected the art of hand sowing their ties, and only use the finest silk fabrics available. Made from 100% silk. Length: 58", Width: 3.75"